This 2016 Camaro SS ran a 10 second quarter mile! Well that didn’t take long. Have a look at the 2016 Camaro SS running 10′s at the track [VIDEO]! It took a 150 shot of nitrous, but still extremely impressive! 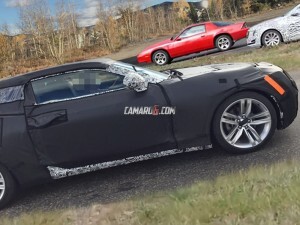 T-Top or Convertible (and 80′s F-Body) Spotted in Latest 2016 Camaro Sighting? !